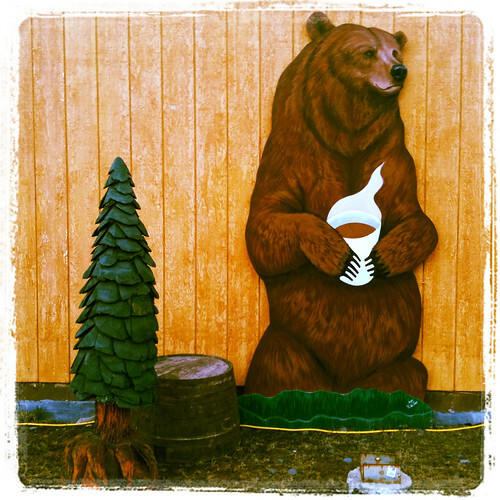 Tags: anchor point, black water bend, brown bear, coffee hut, daily photo, road trip, roadside alaska, sterling hwy. Coffee stop kitsch, better than average -- Sterling Hwy. Very old (19th century, Russian?) 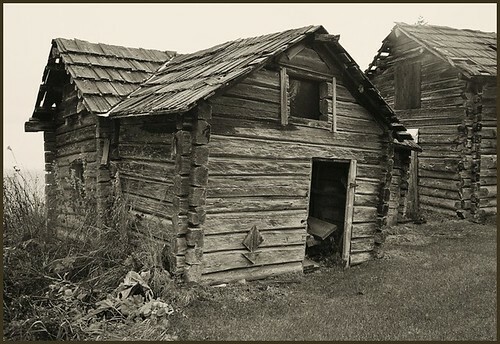 square notch log cabins, Anchor Point, AK.